Chloe and Steve have been looking forward to renovating their bathroom. 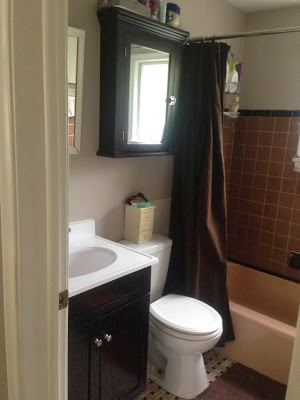 It was a small 5′ x 8′ bathroom but had a bedroom and hallway closet to the right, begging to be used to make it a good sized bathroom. Day 1: Steve, the homeowner, picked up a sledgehammer and joined in the demolition fun, and we forgot to take a true ‘before’ picture. So, here’s a mid-morning ‘before’ pic. Decorator Sarah Kidder to the rescue. Here’s the ‘before’ picture she took. Day 1: Totally justifiable homicide. Or is that tubicide? 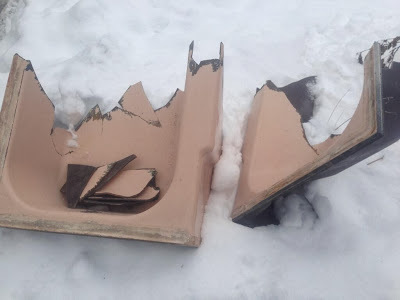 Had to break the 500lb cast iron tub to remove it. Don and I can lift a lot of weight, but these cast iron tubs mock us. Day 1: Cast iron and lead plumbing. A little unexpected in a 40 year old house, but no problem for our plumber. 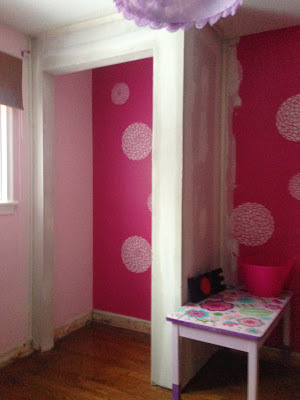 Day 3: The daughter’s bedroom is adjacent to the bathroom being renovated. Part of her closet was used to make the bathroom 2 feet wider, so today we made her a new closet. 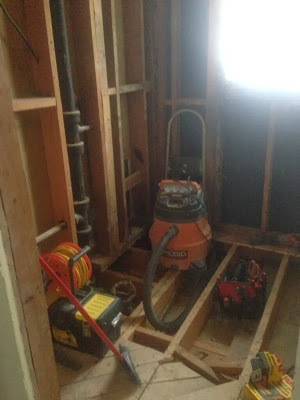 Day 3: Gutted bathroom, now a full 2-feet wider thanks to space taken from a closet in the daughter’s adjacent bedroom. Day 5: Plumbing done, City of Ottawa plumbing rough-in inspection passed, insulation and vapour barrier installed and subfloor down. The new layout is in place. 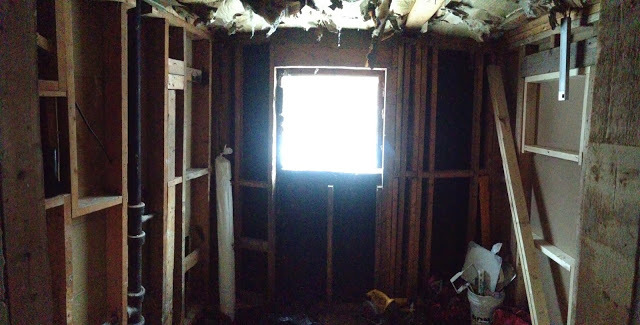 The tub has been moved from under the window to the right, where the closets used to be. 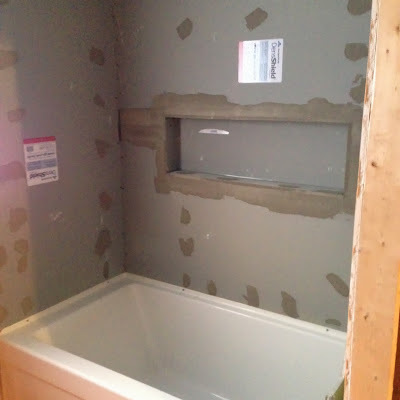 The toilet plumbing has been moved towards the exterior wall which will allow for the 52″ vanity that is coming. 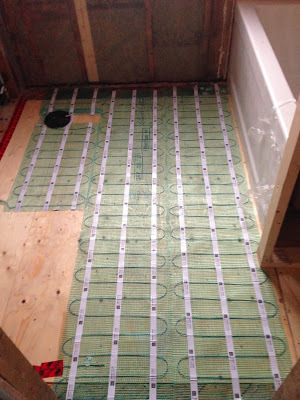 Day 6: Radiant heating floor system (by Warmly Yours) is laid out. Self levelling compound is next. Day 7: The new soaker tub is in and we’ve created a large recessed shelf for convenient storage. 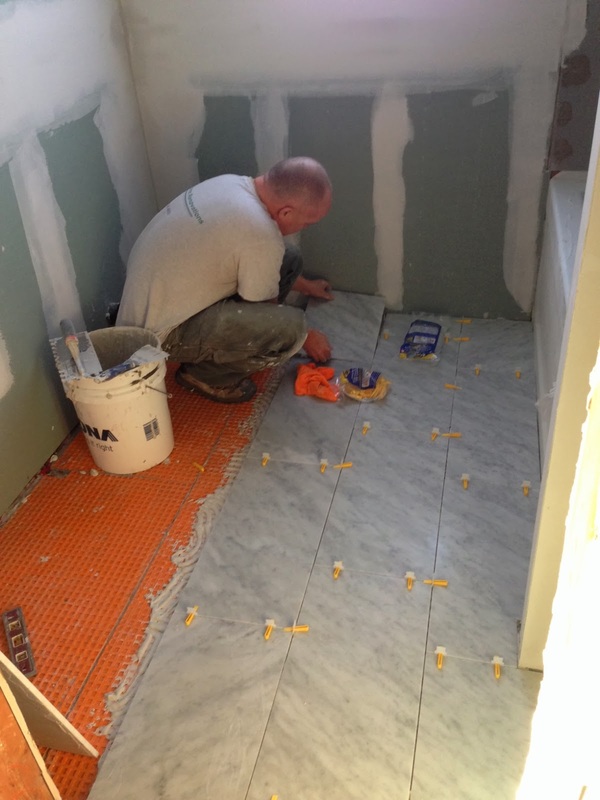 Day 10: Drywall is hung and we’re laying 24×12 marble tile in a one-third offset pattern. 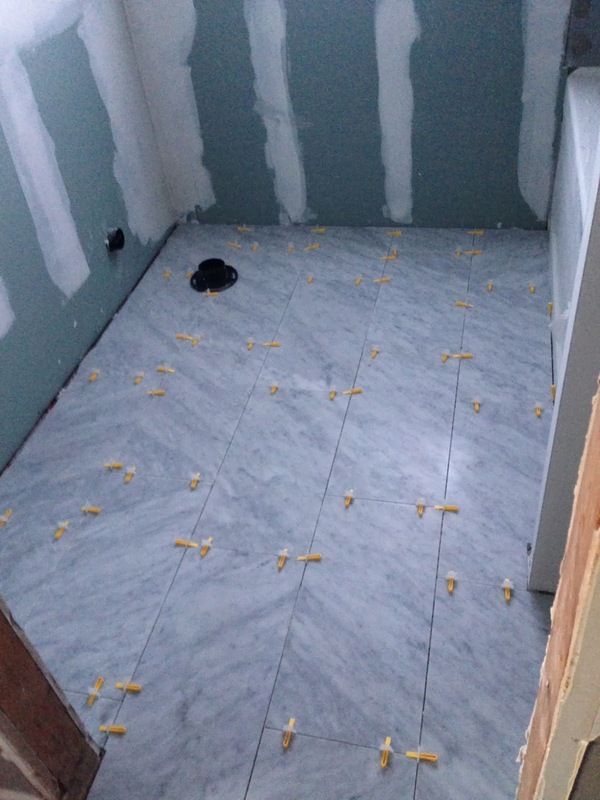 Day 10: The Carrara marble floor tiles are in. 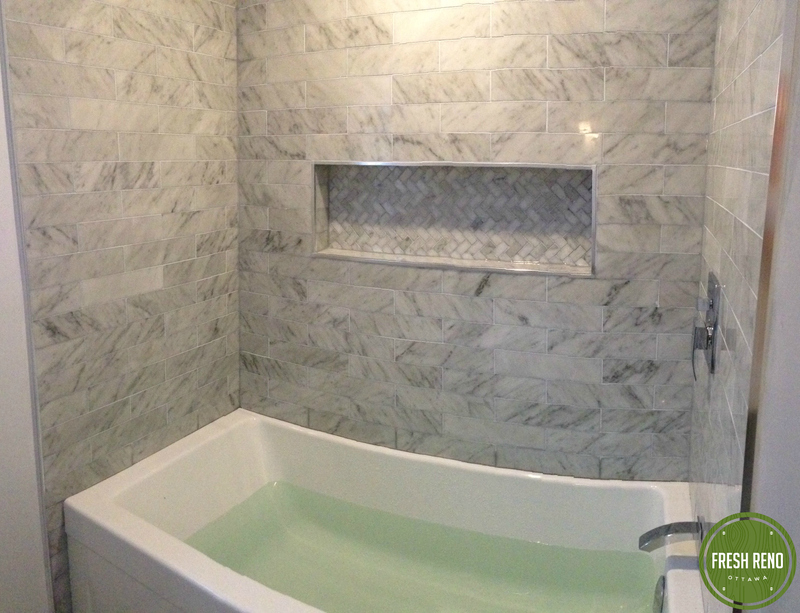 Day 11: Carrara marble wall tiles going in around the tub. 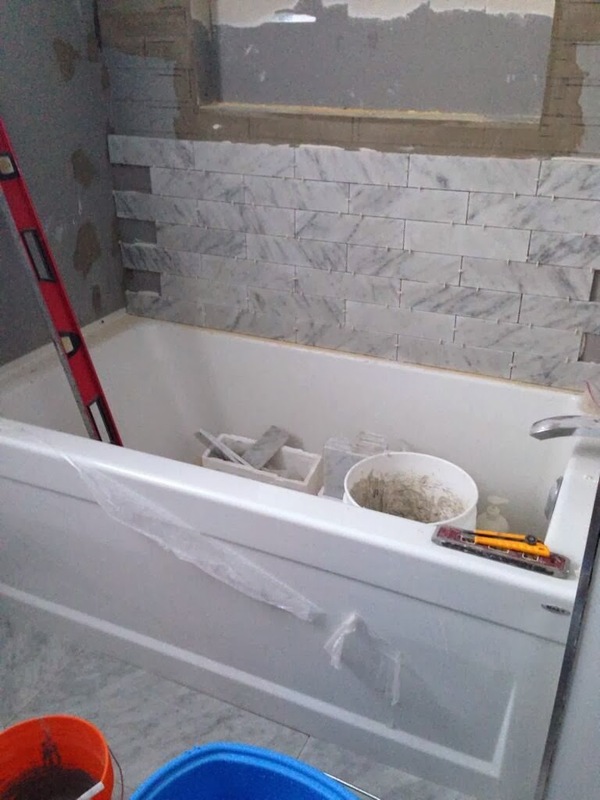 Day 15: Tiling complete—brick pattern around the tub and herringbone pattern in the recessed shelf. 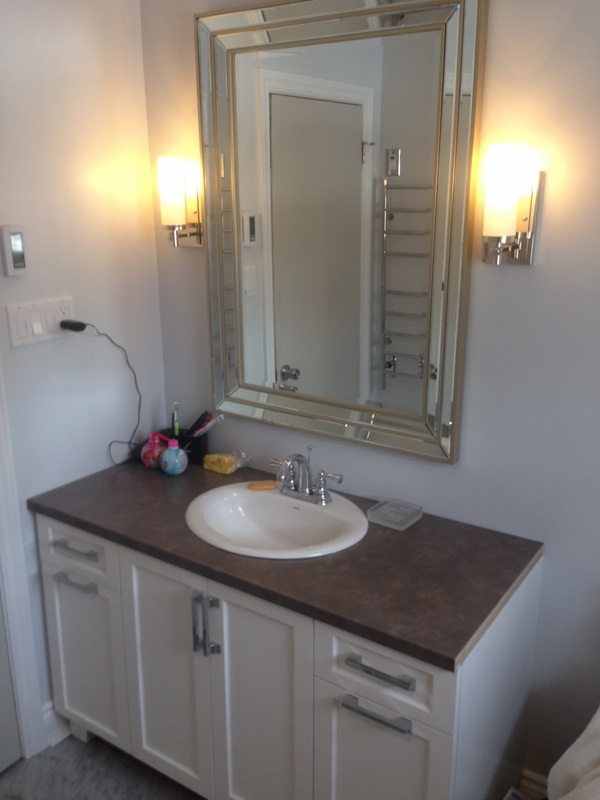 Day 17: New vanity (temporary counter while granite is on order).